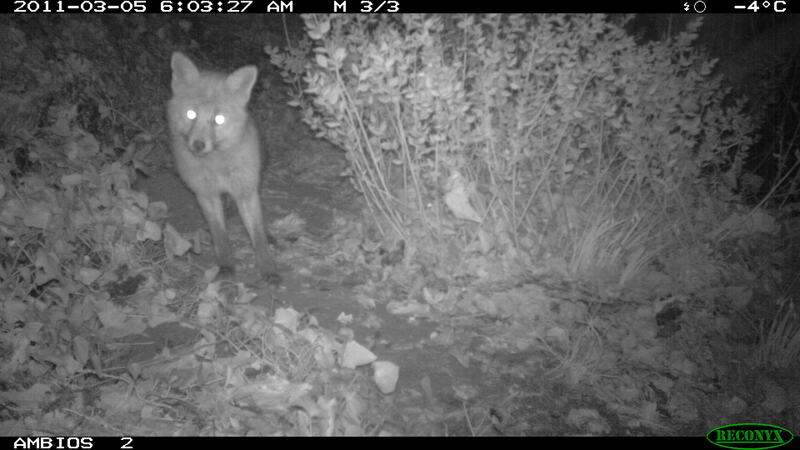 I have been lucky to get my hands on a wildlife camera and I set out to capture pictures of our more elusive wildlife. In just one short week I was very lucky capturing foxes, badgers, roe deer as well as pheasants, a stray cat and numerous small mammals. Deciding where to place the cameras is essential to its success, and I spent time beforehand learning about wildlife tracks and signs with this excellent book and time in the field. My walks are now enhanced by being able to decipher subtle clues along the way – a badgers hair caught in a barb, the size and shape of a burrow, established wildlife tracks,vole runs.. all sorts. It’s a little like being a detective, and having the camera enabled me to be gather evidence to confirm the real culprit of the clues and pointers spotted during the day. I felt a real excitement going to collect the camera to see if it was visited during the night, and real joy seeing not only that my hunches were often correct but also in observing wildlife without disturbing them.. nor spending a night in the woods! The cameras produce still images (full colour during the day, but black and white during the night). I have selected numbers of these and joined them in a simple videos. These have since been incorporated into Sharpham Estate’s interactive map, which also includes my RePhotography work, and is definitely worth a visit. A selection is shown below. One site in particular proved very successful, with one night revealing visits from pheasants, 2 roe deer (twice), badgers and a mouse or a vole. This project has since given me a great awareness of the natural world and I now find spotting evidence of wildlife can be just as enjoyable as seeing the wildlife itself. 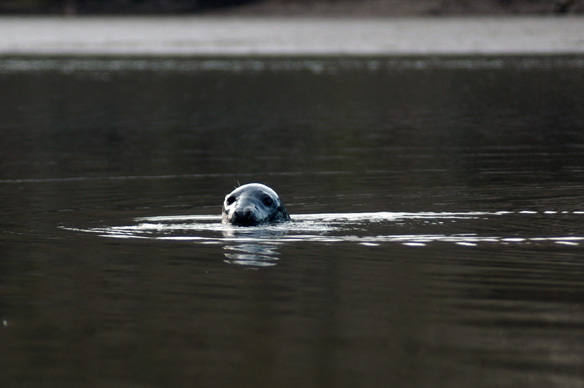 Update – below is a seal (I think a brown seal, get in touch if I’m wrong!) that I spotted whilst kayaking on the Dart. They are very playful there, and I kept hearing it break the surface behind me before vanishing just as I’d manoeuvred myself to see it properly for a photograph. This cat and mouse continued for a little while, before I decided to paddle backwards, camera poised.. Sure enough, up it popped again, and I was able to quickly compose and shoot this photo before he vanished once more. You can sometime see one basking on the mud when tides are low all along the river Dart.